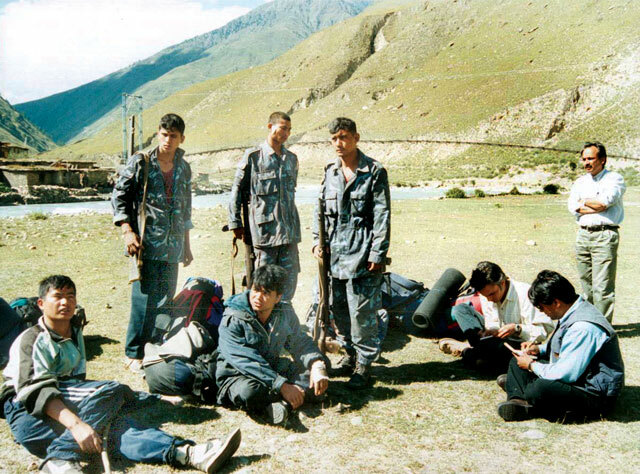 WAR CORRESPONDENTS: Kantipur Editor Yubaraj Ghimire (standing) and reporters Narayan Wagle and Suman Pradhan flew into Dunai a day after the Maoist attack on 26 September 2000 to interview survivors of a battle that was a turning point in the war. Nepal's conflict had been going on for four years, the violence was spreading out from the Maoist ‘base areas’ of the mid-western mountains to other parts of the country. Teachers, farmers, students and traders were being extorted, tortured or killed. In Kathmandu, fractious and feckless parliamentary parties were incapable of showing statesmanship, or the ability to govern. Till then, it was still the demoralised, underfunded Nepal Police that was fighting motivated Maoist guerrillas and hundreds had already been killed. Police outposts were being abandoned. Brutal crackdowns by the Police in offensives like Operation Romeo and Kilo Sierra 2 had alienated civilians, making recruitment easier for the Maoists. Girija Prasad Koirala was Prime Minister, Sher Bahadur Deuba had split from the NC only to rejoin and become the Chairman of the Peace Committee, entrusted with secretly negotiating with the Maoists, even though it was Deuba himself as prime minister in February 1996 who had ignored the Maoist ultimatum that led to the insurgency. Then, in the most-audacious attack till then, a 1,000-strong Maoist guerrilla force attacked a district headquarter for the first time, here in Dunai. 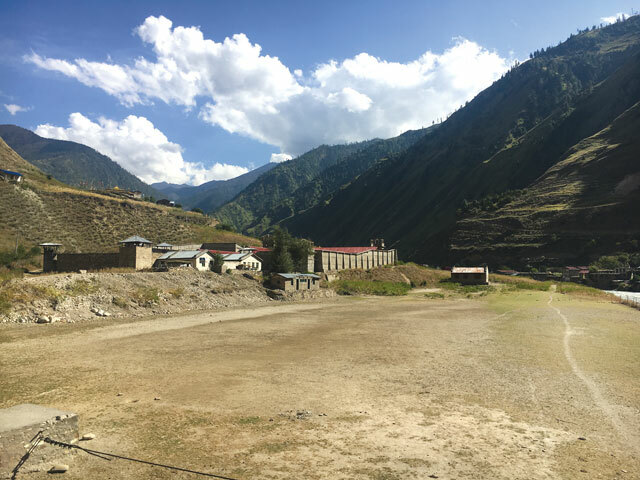 They chose Dolpo district because its remoteness would delay the state response, and the mountains offered many escape routes back to Rukum and Jajarkot. The strike was planned and led by Barsha Man Pun, who went on to become Finance Minister and is the husband of Parliament Speaker Onsari Gharti Magar. Hundreds of guerrillas stormed Dunai from all sides on the night of 25 September 2001, freeing prisoners, looting Rs50 million from the Nepal Bank branch and abducting 12 officials. Dozens of Maoists were killed, as were 14 policemen. The battle raged all night, while soldiers at the Suligad Army Base nearby looked on, saying later they had no orders to intervene. Seventeen years later, looking out from the sentry post at the confluence of the Suligad and Thuli Bheri, up river towards Dunai, one can almost hear the sound of bombs and fierce gunfire reverberating among the surrounding mountains. 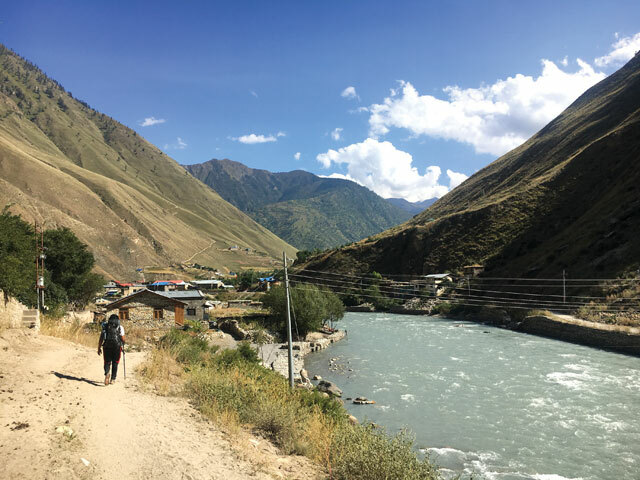 There is now a motorable road from the airfield at Jufal to Dunai: the jeeps that ply it had to be helicoptered in and the diesel is ferried by mules. Bridges had been booby-trapped or destroyed by the Maoists to prevent the soldiers from coming out. The raid began at midnight with huge explosions at the jail and the police station followed by a fierce gun battle. The police fought till they ran out of ammunition, hoping that the Royal Nepal Army soldiers would save them. The Army finally did help, but only to airlift the dead and wounded. Witnesses at the time said bodies of guerrillas washed down the river and were found along the banks next morning. The Maoists knew the Nepal Bank branch was receiving Rs35 million in cash, and delayed the raid until the money finally arrived from Nepalganj on that morning’s flight. The army had intelligence of unusual Maoist activity, and had warned the administration of an imminent attack. CDO Purshottam Aryal asked Kathmandu for reinforcements, and a unit was flown in by helicopter – within a few hours they were in action, and some of them were among those killed Today, the town has grown dramatically and even has a Citizen’s Bank branch with flashy neon lights. Families from Upper Dolpo have bought winter homes here. The sound of mule bells is being replaced by jeeps honking incessantly. A larger prison complex has been built next to the one destroyed in the attack, and a new steel bridge links the two banks. The Nepal Army is no longer fighting a war, but guarding Shey-Phoksundo National Park and blasting a highway that will connect Dunai to the rest of Nepal within two years. New shops and hotels are coming up in anticipation of the road, and land prices have shot up. The battle for Dunai was a turning point in the war. The main fallout was criticism of the Royal Nepal Army for not helping the government, which exposed confusion about the chain of command in the Army. Who was giving orders: the supreme commander of the Army, who was a constitutional monarch, or an elected civilian government? After Dunai, Prime Minister Girija Prasad Koirala put pressure on the Palace to order the Army to cordon off the escape routes of the Maoist attackers. He also sped up the plan to get the Army to arm and train the paramilitary Armed Police Force in counter-insurgency. Maoist leader Prachanda declared the Dunai attack a glorious victory and blamed the government for not agreeing to peace talks. It was a familiar Maoist tactic: conduct a high-profile raid just before ceasefire talks to improve their bargaining position. They knew they would have to fight the Army one day, but were going to do it in their own terms when the guerrillas were battle-hardened and had amassed enough weapons captured from the Police. They did not have to wait long: on 1 June 2001 Nepal’s monarchy self-destructed, and the Maoists decided the time was ripe to take on the demoralised Army with devastating attacks on Ghorahi, Mangalsen and other bases in November 2001. The war became much fiercer with both sides using automatic weapons, grenades and mortars. It would drag on for six more years, and kill another 15,000 people.